Cannabidiol (CBD) really has been all the rage recently, as companies have jumped onto the bandwagon releasing product after product made with the cannabis-derived compound. You can buy CBD infused candles, bath bombs, hair wax and mascara, honestly just have a google, it’s wild! No surprise then businesses want their slice of the action, with the man behind the iconic Jelly Belly jelly beans joining in the fun. If you are unfamiliar with Jelly Belly, the American company was originally founded in 1898, with businessman David Klein revolutionising the industry almost a century later in 1976 when he invented Jelly Belly’s signature jelly beans. 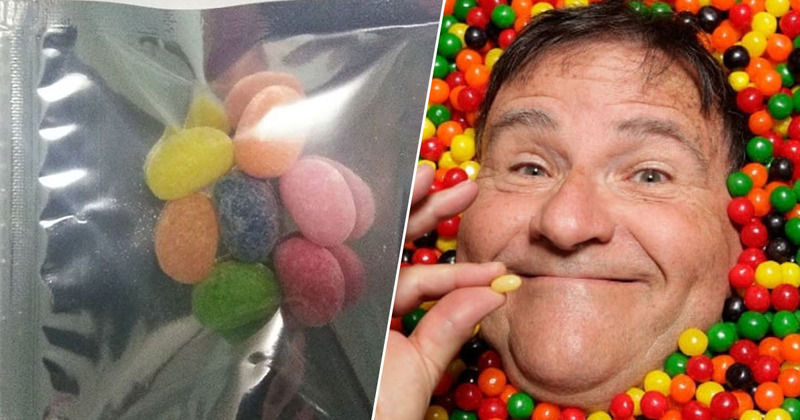 Four decades later, Klein has decided to put a 2019 spin on the classic sweet treat by releasing a line of jelly beans infused with CBD, with his new company Spectrum Confections. Speaking to Cannabis Aficionado, Klein explained the idea came to him after learning about the benefits of CBD. I love candy! Not a day goes by where not only do I eat candy in some form, but I think about new candy ideas. I said to myself, ‘is anybody doing a jelly bean with CBD’, I could not find any. An opportunity was clearly there, and Klein took hold of it, producing CBD-infused jelly beans which come in 38 different flavors. The jelly bean is perfect for the proper dosage [of CBD], we are putting 10 ml in each [bean]. If people want a small dose, they eat one. If they want 20 ml, they can eat two. They can decide what their proper dosage is. Toasted marshmallow, pina colada, strawberry cheesecake… which is one of my favorites. Our mango tastes more like mango than mango does. Other flavours include cinnamon and spicy licorice, and there are also sugar-free varieties, so there really is something for everyone! You can order the CBD jelly beans on Spectrum Confection’s website, however right now they are sold out. We test each recipe with our lab to ensure that the correct amount of CBD is added to each piece. We are a USA company who prides ourselves in having products that can be trusted as well as have the best flavor profile on the market. We know and love candy! We sell in bulk, but will consider private label packaging. Hopefully they will be back in stock soon but for now, you can contact the company via their website with any special requests.